Introduction to Technology in the FACS Classroom! The world is constantly changing and mainly due to technology. Today, technology affects how we function on a daily basis. Whether it is at home, work, or school, you better believe that technology is involved. With this being said, no wonder there is such a push for technology to be integrated in your classroom on a regular basis. Most teachers constantly find themselves in an uphill battle with students constantly attached to technology from cell phones, to IPods/mp3 players, to digital cameras. Is it not about time we join the winning side and instead of prohibiting the use of technology in our classes, embrace the use of technology; however on our terms. And of course, makes learning more fun! Let’s face it teachers, learning should be interactive. And it is this interaction that allows students to use and develop skills such as problem solving, critical thinking, communication and the creation of new knowledge and products. All of this and more can be accomplished by integrating technology into your classroom regularly. So colleagues, it starts with you! Below are some ways to get you familiar and somewhat comfortable with using technology. Once you have a grasp of how to use it personally, then you may expand by integrating it into your classrooms in teaching inside and outside of the classroom. 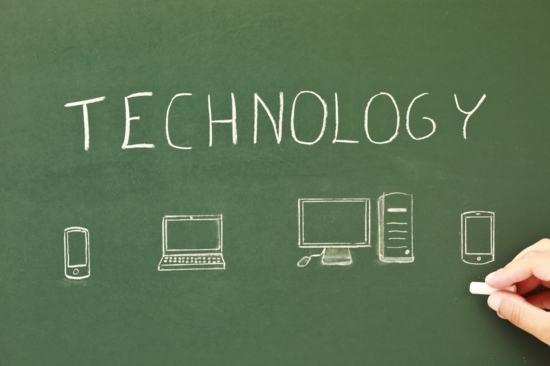 If you haven’t noticed, these are all ways that teachers can use technology personally. I have yet to cover how it can be used in the classroom, but don’t worry; we will get to that part next week. I just wanted to get you to thinking about the start of technology integration in the FACS classroom. In the upcoming weeks, we will explore the ways listed above in greater detail and more ways of integrating technology in the classroom. So check back soon for updates! ← Just FACS turns 1!! !